Let Eat Snow is a Korean dessert cafe on 34 Ave and 93 St specializing in bing — shaved ice made with 100% milk. 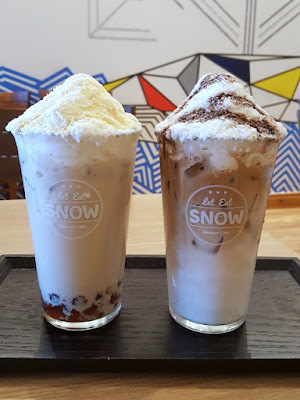 This is what sets it apart from the competition, and you can definitely taste the difference in the texture of the ice which really feels more like soft and fluffy snow. The best part is that the texture remains the same even as you get to the bottom of the bowl. Somehow the snow doesn't meld together into a big clump but remains as fine flakes throughout. 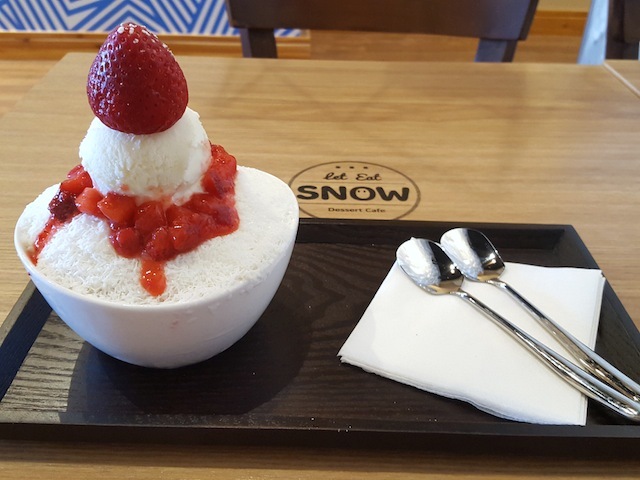 The picture below shows the snow bing ($11.50) which is regular flavoured snow with sweet strawberries. The strawberry chunks are imported because that is the only way to guarantee sweetness year-round. I've also tried the green tea bing ($10.70) and the pink bing ($11.50 - only available during Valentine's week). 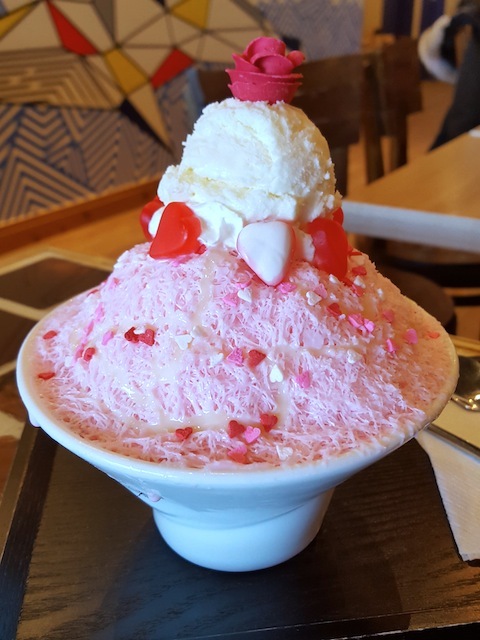 What I love most about the bing here is that the flavours are not just dependent on the toppings, but often infused into the shaved milk! For example, the pink bing is shaved milk infused with a delicious raspberry puree imported from France. In both of the bing below, there were also layers of chocolate cookie crumbs inside and cocoa puffs hidden on the bottom! Another item that I almost always order is the cinnamon croissant ($3.80 each or $7 for 2) with red bean filling. Boston cream or blueberry cheesecake fillings are also available. The pastry is very much like a croissant with its tender flaky layers, and I love that it's made fresh and served piping hot with cinnamon sugar. 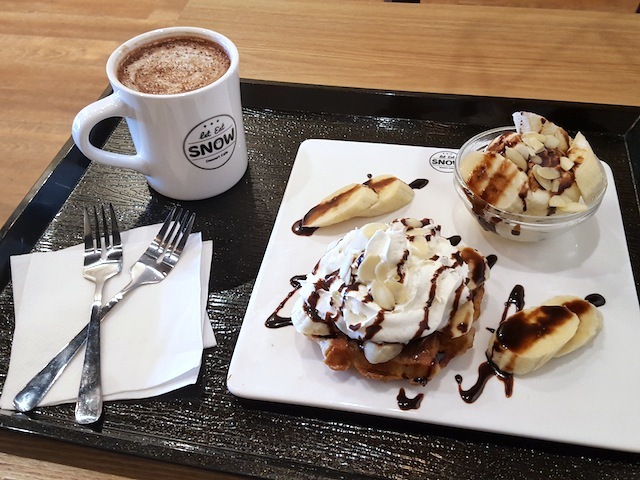 Another choice of dessert is the Belgian waffle. It's sweet, dense and chewy the way it should be and you can choose to have it by itself, with berries and cream, or with banana and chocolate as shown below. 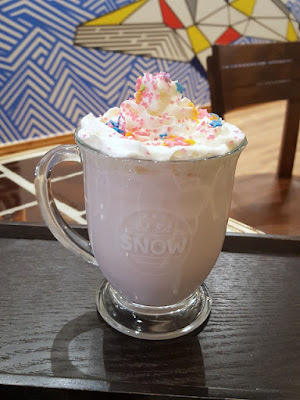 I enjoyed mine with a cup of chocolate latte (just hot chocolate, no coffee in here despite the slightly misleading name), which brings me into the range of hot and cold drinks they serve here. I think I enjoy the drinks more often than the bing, especially on cold winter days. 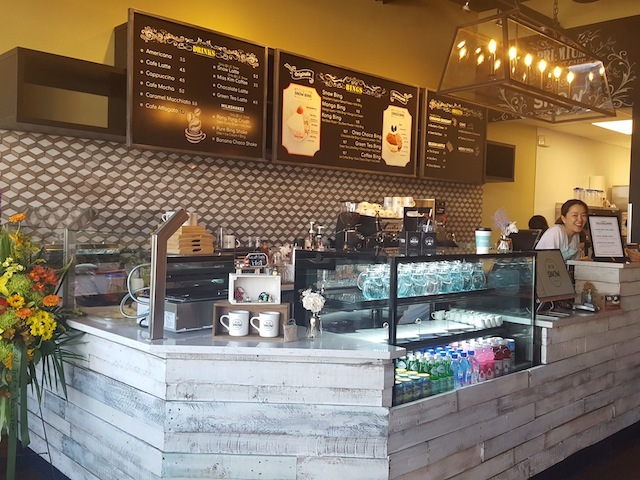 The green tea latte below is a light and comforting choice if you want a break from espresso drinks. 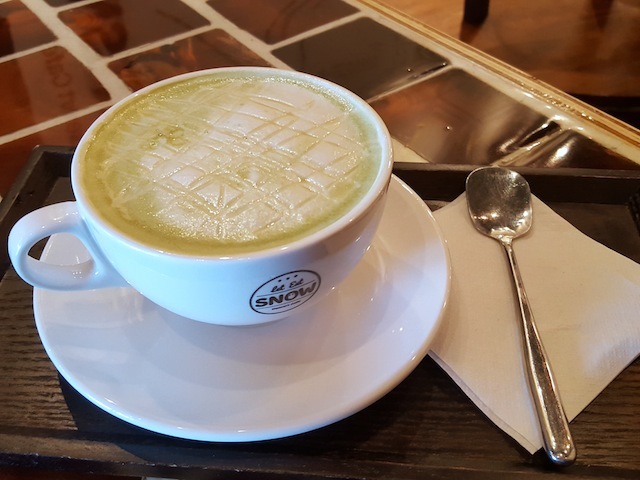 However, please note that this is not a matcha latte; it doesn't have that strong distinct matcha flavour. Instead it's a milder and slightly sweet green tea with milk. A good option for kids is the pink white chocolate on the right below. It tastes like strawberry milk and is just a bit too sweet for me. 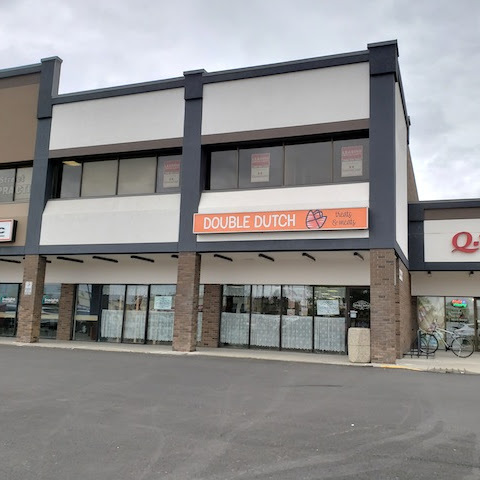 I personally really love the bubble bing on the left below. A cold drink with bing (shaved milk) topping, so you can enjoy two desserts in one! My fave is the earl grey milk tea bubble bing with tapioca jelly. 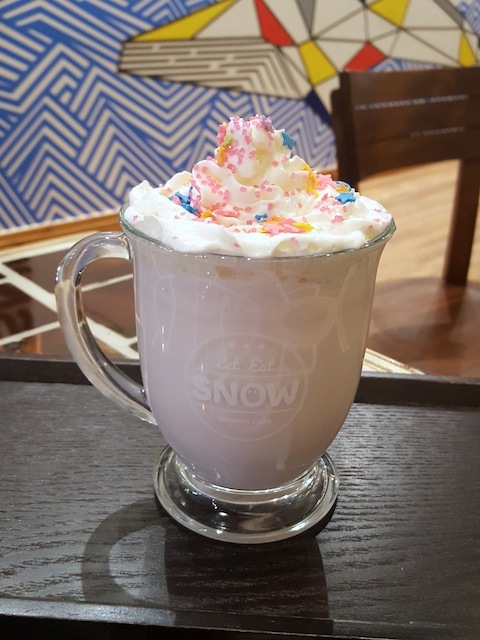 What I love most about Let Eat Snow is that they are always coming up with new menu items, such as the purple dream latte below. Not sure if this is still available, but it's just steamed milk with cooked red beans and almond flakes. Now what would go well with a nice warm drink? Cake of course! 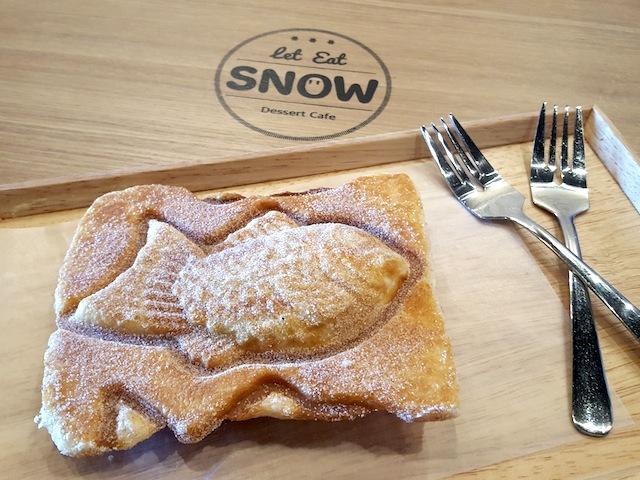 Let Eat Snow does not make their cakes in house, but the owner said she sampled over 30 cakes in several bakeries around town to select the best ones to feature. 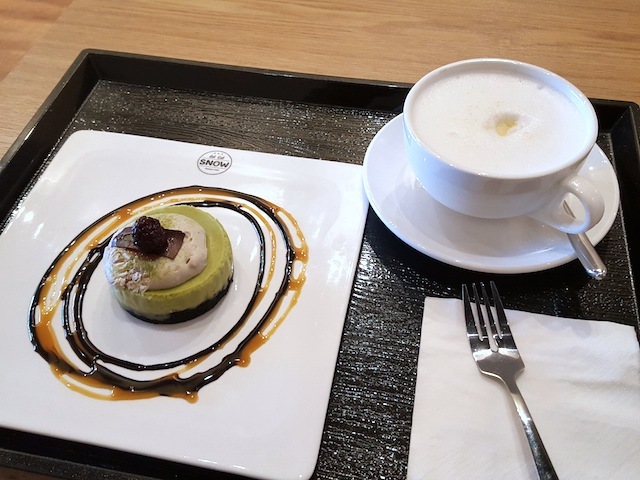 The matcha blackberry cheesecake below is one of the most popular cakes here and it is creamy and delicious! 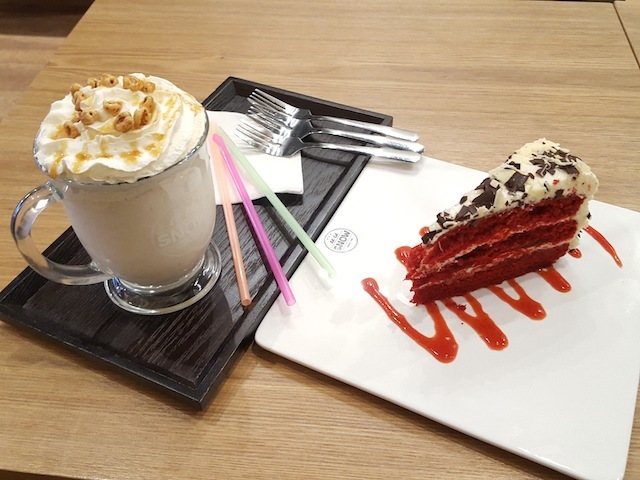 There are also seasonal cake offerings such as red velvet cake during Christmas time. The drink below is one of my favourites — the pong pong crush. It's a barley shake topped with vanilla ice cream and whipped cream. Super creamy and not too sweet! 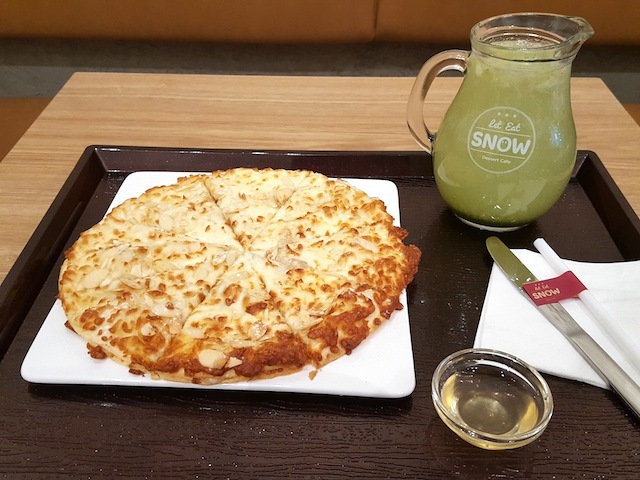 The only savoury food item currently available is the mochi pizza with gorgonzola cheese and almond flakes. It is also one of my favourite food items here. 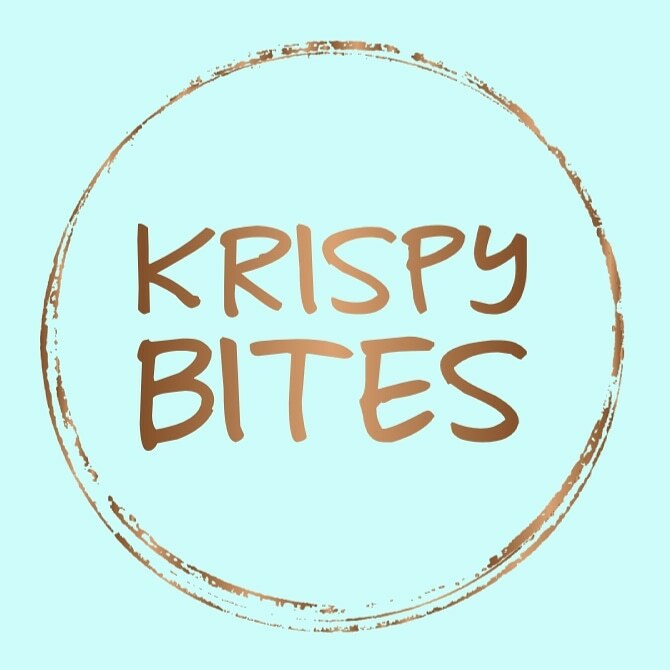 The pizza dough is actually made with Korean rice cake which gives it a soft and chewy texture. 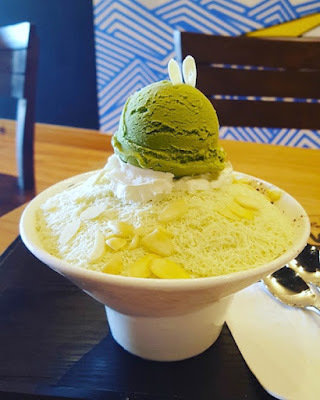 But be sure to eat it quick because the mochi loses its elasticity when it's cold and the crust becomes tough. If you don't like savoury, then there's also a honey dip on the side, but I prefer without. The drink below is the green grape-ade made with freshly squeezed juice. Not my cup of "ade" since I think the pong pong crush and earl grey milk tea bubble bing are both much tastier, but this is definitely more refreshing and less filling. The kaya toast can qualify as a half-savoury snack. 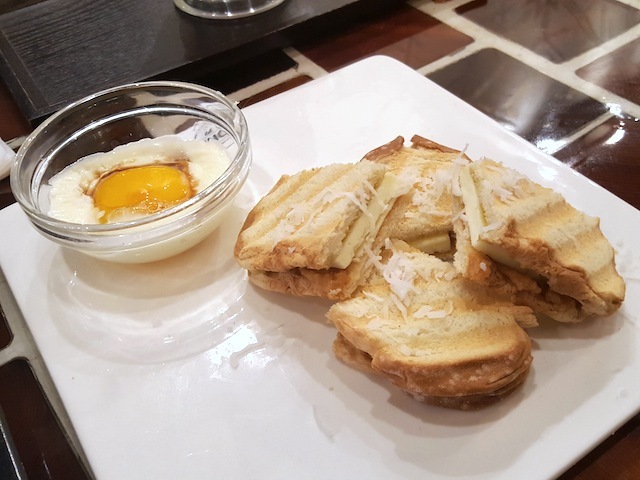 It's a simple toast sandwich with butter and kaya jam inside, served with a side of runny poached egg for dipping. 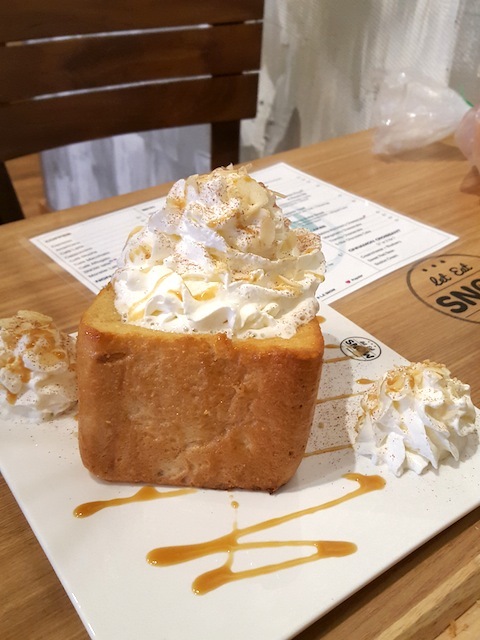 If you're with a group of friends, consider getting the honey toast to share. I made the mistake of ordering this along with other food and drinks for myself and two other friends (3 people total) and we were not able to finish this... It was basically half a loaf of bread! Topped with whipped cream too! I think I come to Let Eat Snow way too often and I've pretty much tried everything on the menu. 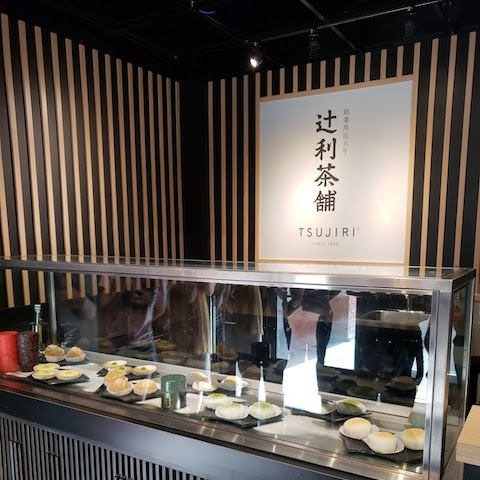 But I keep coming back for a few of my faves as well as new menu items! 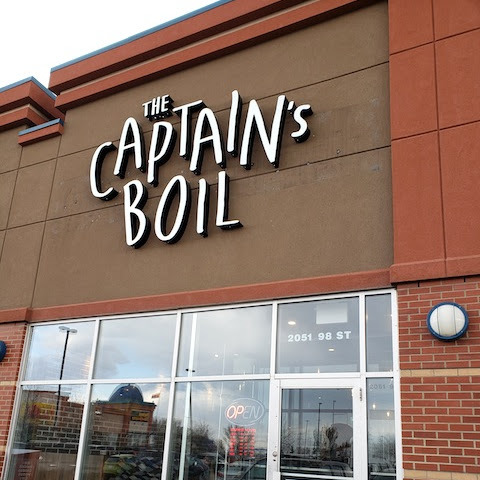 I feel like I recommended most of the menu, but you pretty much can't go wrong with anything here.